In a UK 75% of personal injury claims following road traffic accidents are for whiplash injuries, and car accidents are the most common cause. Whiplash occurs when the head is suddenly jolted in any direction, causing the head to overstretch and damage the tissues surrounding the neck and shoulder area. Symptoms of whiplash may become obvious immediately after the accident or they may take several hours or days to develop. While many people recover within a few days or weeks depending on the severity, some symptoms can last for months. The most frequent symptoms are neck pain and stiffness. These are often accompanied by occiptal headache (the base of the skull) and a feeling of weakness in the shoulders. Pain may also spread down into the arm and hands due to the way that the nerves branch out from the neck. Another common symptom is dizziness caused by a distortion of nerve signals leading to a conflict of information in the muscles, the eyes and the vestibular system (important for balance). 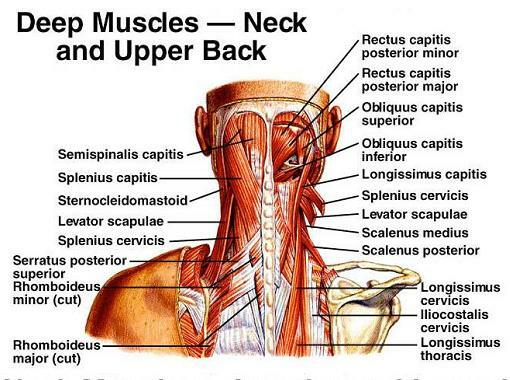 These can impact proprioception of the head and neck, causing imbalance in our day to day postures. Lie on your back with knee bent without a pillow under your head and neck. Do a slow and gentle nod of the head as if you were indicating yes. While doing this exercises, placing your hand on the front of the neck to feel the superficial muscles. Make sure they stay soft and relaxed when doing the head nod movement, stop at the point that the muscles are beginning to harden. Hold 10s and then relax. Look up to the ceiling to starting position. Repeat the exercises 10 times. Whiplash injury can be treated by a physiotherapist or sport therapist to reduce pain. Techniques such as manipulation, acupuncture, electrotherapy and massage may help to reduce stress and anxiety. In addition, a physical therapy program can be provided from beginner to advanced to regain strength, function and range of motion of the neck. It is normal to experience some mild discomfort during the recovery process but be careful not to stress your neck to a painful level. Be active and keep the neck moving (up/down, side to side, turning side to side) to maintain your wellbeing and health. Also, make a conscious effort to maintain good posture during your daily activities.